Support our Campaign to improve the Horse Show Facilities. 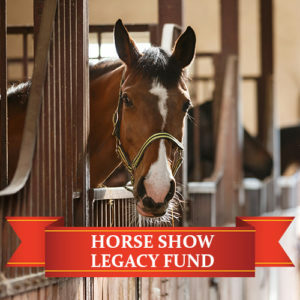 Your $500 donation will be recognized with a gold ribboned horse shoe which will be prominently displayed on the Donor Wall in the Junior Farmer’s Building. $250 option with silver ribboned horse shoe also available. The Horse Show facilities are in need of upgrades to maintain and preserve the equine excellence established since 1840. 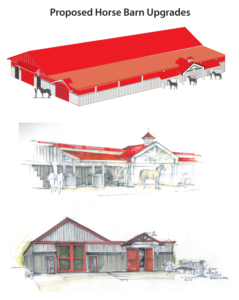 Your support will improve and enhance the facilities used for the annual Norfolk County Fair & Horse Show as well as other events throughout the year and ensure that the facilities will be in our community for future generations to enjoy.